We needed an innovative way to deliver this year's snow alerts. So we drew inspiration from Jackson Hole's campaign tagline "Your Inner Wild is Calling," to literally call people with the latest weather updates. We utilized native snowboarding legend and weather enthusiast, Travis Rice, to deliver the fun prerecorded messages. 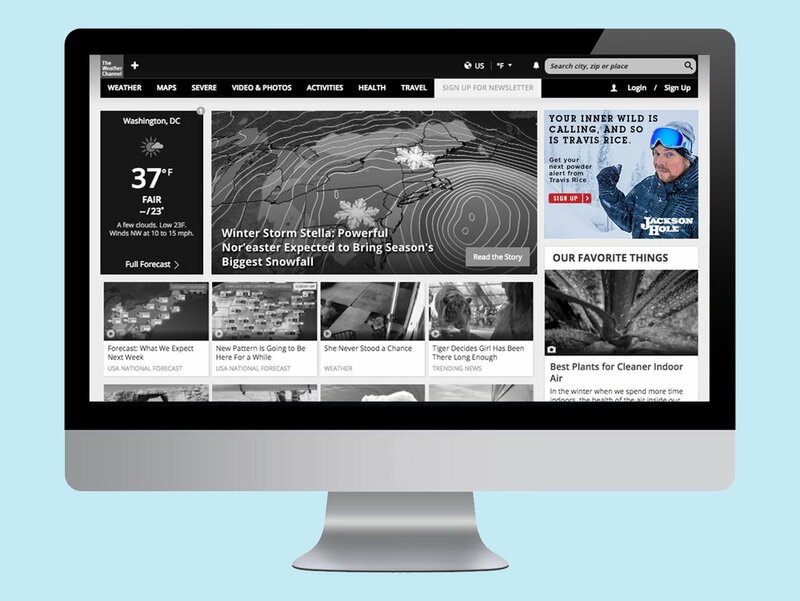 Banner ads were featured on different weather websites to get people to sign up to receive phone call snow alerts from Travis Rice. Landing page where people could sign up to receive the phone call snow updates from Travis Rice.